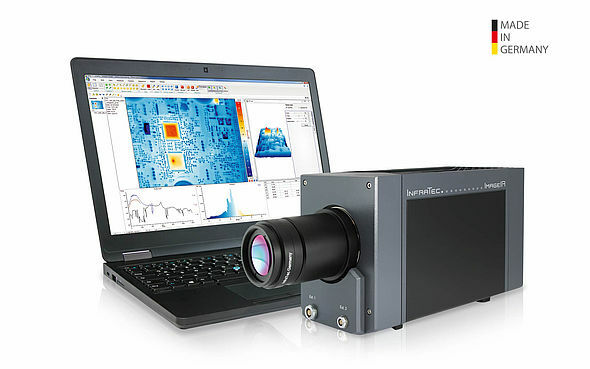 The ImageIR® 4300 by InfraTec is equipped with a cooled 320x256 pixel focal plane array photon detector and the option of utilizing an MCT or InSb detector for analyses in the SWIR and MWIR ranges. It is capable of recording and storing images with a frequency of up to 706 Hz allowing for rapid process analysis. An impressive thermal resolution of up to 0.02 K (20 mK) gives this camera the potential for usage for a broad range of applications in the fields of industry and science.